What is scoliosis? What are the other spinal deformities? When seen from the front, the spine is normally a straight structure. Scoliosis is abnormal curvature of the spine as seen from the front. When seen sideways, the spine has certain curvatures normally present in certain regions. For example, in the neck and lower back region, there is a convexity towards the front; while in the rib cage region, there is a convexity towards the back. When these convexities are reversed or exaggerated, they can lead to biomechanical problems. In medical parlance, these deformities are referred to as kyphosis or lordosis. When either of these two deformities is also associated with a curvature as seen from the front, it is referred to as either kyphoscoliosis or lordoscoliosis. What is the cause of these spinal deformities? These spinal deformities are caused by abnormal development of the bones and/ or ligaments of the spine or abnormal nervous control over the spinal muscles, infections such as tuberculosis, swellings and tumors within the spinal canal, etc. Abnormal development can occur either within the mother’s womb or during the early or adolescent growth spurt. How do these deformities manifest? Depending on the clothing styles, these deformities may be noticed noticed at various stages of severity. Sometimes, the deformity is noticed either by the mother or some other family member. At a later stage the deformity becomes obviously apparent. Common manifestations in advanced stages include, the two shoulders being at different levels, the waistline being asymmetrical, an imbalance while sitting, an apparent feeling of one lower limb being shorter than the other one, a bony hump on one side of the back, abnormal flattening of one side of the chest wall, abnormal tilting of the head towards one side, etc. There is a simple test that can detect early spinal deformities. Asking the person to fold his hands and bend himself forwards without bending his knees. Observation can then be done from behind so as to look for any asymmetrical bump on any side of the mid line, as shown here. How are these deformities treated? If detected early, these deformities can be treated by simple observation or special spinal braces. Regular observation is essential in many of these cases in the early stages. Surgery is essential when the deformity is progressively increasing on observation or, when the deformity has reached a particular level of severity or, when the deformity pattern is known to have relentless progression or, when the deformity has led to compromised function of the spinal cord. What will happen if one does not undergo surgery in the above circumstances? If one does not undergo surgery at the appropriate time in the above situations, there may be relentless progression of the deformity. As the spine gets progressively deformed, the chest cavity also gets compromised. Since the heart and lungs are within the chest cavity, this compromise in the volume of chest hampers the vital functions of heart and lungs leading ultimately to premature death! Another major concern in these cases is the fact that as the spinal column gets deformed, the spinal cord is also stretched along with it and thereby, possibility of paralysis of lower limbs also strongly exists in some of these cases. In many instances, presence of severe deformity interferes with activities of daily life by causing chronic back pain or inability to sit properly. How urgent would the surgery be necessary? If there is an imminent danger to the spinal cord or the function of the heart or lung, the surgery needs to be done immediately, i.e. within a few days. In other instances, though there is no emergency need for doing the surgery, it needs to be done at the earliest appropriate time. Delaying a surgery when needed can only compound problems, such as decreasing the flexibility of the curve [and thereby increasing the magnitude of surgery at a later stage] or the possibility of any of the above-mentioned eventualities in neglected cases. The nature of surgery is decided by experienced spine surgeons according to the severity of the deformity. In severe cases the surgery may be done in two stages, front and back. In certain types of deformities in the lower spine, the surgery may be done from the front alone. This would decrease the length of spine over which the surgery would be done. In most other instances, the surgery would be done from the backside alone. 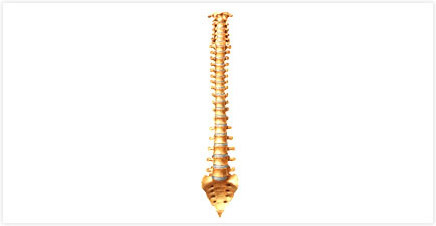 By means of using screws and/ or wires and rods, the spine is held and twisted back into its normal shape as much as possible. The amount of correction aimed for during the surgery, is estimated before the surgery itself. This estimation is done by noting the flexibility of the spine on taking x-rays of the spine while bending sideways. During the surgery, as a routine, the patient would be aroused partly and asked to move his/ her toes after which the last stage of the surgery is finished off. In some cases where the heart and lung function is severely compromised, the patient may be put on external devices so as to try and pull up the spine as much as possible. Rather than asking the question as to whether spine surgery is safe; it is more candid to ask as to what are the problems that a patient will face, if he undergoes surgery and what if he does not undergo surgery? What are the benefits a patient will have, if he undergoes surgery and what if he does not undergo surgery? Everything that we do in life carries some inherent risk. Even if we are driving our car on the road, we are running a risk of an accident! On a similar ground, spine surgery too has its own share of risks; but any learned, well-trained spine surgeon would offer spine surgery only if the benefits outweigh the risks by a factor of at least 10:1! Also, there have been a lot of advances in the field of spine surgery, which has rendered the knowledge contained in even 10-15 year old textbooks as obsolete! The advent of MRI for preoperative diagnostics has allowed the surgeon to rule out any problems within the spinal cord that might limit the surgical options. The advent of intraoperative imaging such as C-arm and computer-aided navigation has given a very safe option for inserting metal implants into the spine, thus improving the postoperative rehabilitation of these patients and also tremendously increasing the safety levels of these surgeries. The use of operating microscope allows for safe handling of neural tissues, minimizing neurotrauma. All this coupled with numerous scientific studies to study various factors to enhance the efficacy of spine surgery and we have a scenario, where the risks associated with spine surgery are significantly neutralized! So, if you have a problem that genuinely requires surgery, contact best spine specialist in India as there is no point in denying yourself the benefits of today’s medical advances! Discuss the details of your surgery and its attendant risks with your spine surgeon or consultant to quell any fears and to clear any and every doubt of yours! If you so desire, your your spine consultant can even arrange to give you references of patients who have undergone similar surgeries. How will the postoperative rehabilitation be? Generally, you would be admitted one or two days prior to the day of surgery. You would be advised to stay starving after dinner the previous night. Surgery would generally be carried out the next day morning. Donors for blood should ideally be arranged through some personal contacts. This is recommended so that the patient gets fresh blood and also, minimizes the risk of inadvertent disease transmission through blood transfusion. After the surgery, on the 2nd/ 3rd day, you would be made to walk. Sutures [stitches] would be removed generally anywhere from the 10th to 14th day following the surgery. By this time, you would be walking around and essentially be independent in doing activities of daily life. You would be allowed to take bath 48 hours after the suture removal. For 3-4 weeks, you would be allowed restricted mobilization within the house. You would be encouraged to gradually increase all your activities in weekly increments. If the patient is a student, she/ he can resume studies after about 1 month. For about 6 months at least, you would not be allowed to bend forwards, lift up weights, travel on 2-wheelers/ auto rickshaws/ jeeps, sit on the floor, or use Indian type of toilet commode. You may have to use a spinal brace for about 6 months at least, depending on the nature of your problem as also the nature of your surgery. You would not be allowed to smoke for lifelong, as it hampers with the nutrition of the intervertebral discs in the spine. Get an appointment now for any kind of spine treatment with the best spine specialist in Bangalore, India. Contact here.